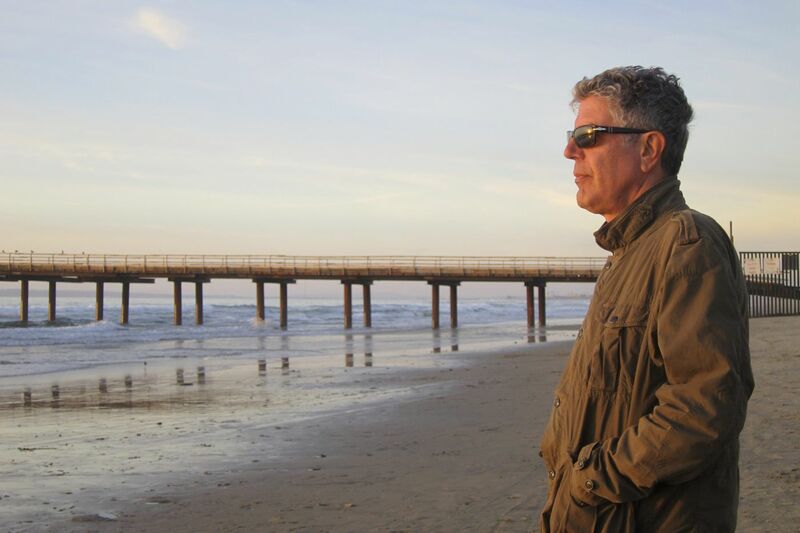 Anthony Bourdain, in a Jersey Shore episode of CNN's "Parts Unknown." The impact of Anthony Bourdain's suicide on June 8 was profound in the restaurant community, where the chef/raconteur was revered for his sense of adventure and his prickly opinions. A few local food businesses have attempted to turn the tragedy into something positive. Two weeks ago, Stargazy — the British pie-and-mash shop on East Passyunk — offered a pie in tribute, with proceeds destined to suicide-prevention efforts. Owner Sam Jacobson is planning a reprise. Next up: Food businesses are using Bourdain's birthday — June 25 — as an occasion to host specials with proceeds also going to nonprofits. On Monday, June 25, Andrew Alexander, who is on social media as @phillyfoodporn, will host a Bourdain-theme dinner at Murph's Bar in Fishtown, where chef Francesco Bellastelli cooks amazing Italian food. Several specials — including "Negroni" tiger shrimp with orange, cherry tomato, peperoncino, and a splash of gin, inspired by Bourdain's drink of choice — will be offered. Alexander says 20 percent of the food and bar receipts for the night will be sent to the American Foundation for Suicide Prevention's Philadelphia chapter. Reservations are gone, though walk-ins (starting at 5:30 p.m.) may be accommodated. At Fox & Son Fancy Corn Dogs in Reading Terminal Market, owners Ezekial Ferguson and Rebecca Foxman will offer escargot fries from Tuesday, June 26 through Saturday, June 30 with all proceeds going to suicide-prevention efforts. The escargot ($10) will be a classic prep of butter, garlic, and shallot. Any others? Let me know and I will add.